There is nothing quite like a genuine grudge-match in boxing, and this is exactly what we will get on Saturday night, in the last big heavyweight encounter of 2018; between Dillian Whyte and Dereck Chisora in their rematch. Whereas some fighters put on an act and appear to dislike, even hate, their opponent, there is nothing phony about this guaranteed war. The first fight between the two British warriors who have known each other for such a long time was great, brutal and damaging. There is absolutely no reason to think part-2 will be any different. In fact, the way both men are talking, it could be a truly x-rated affair. 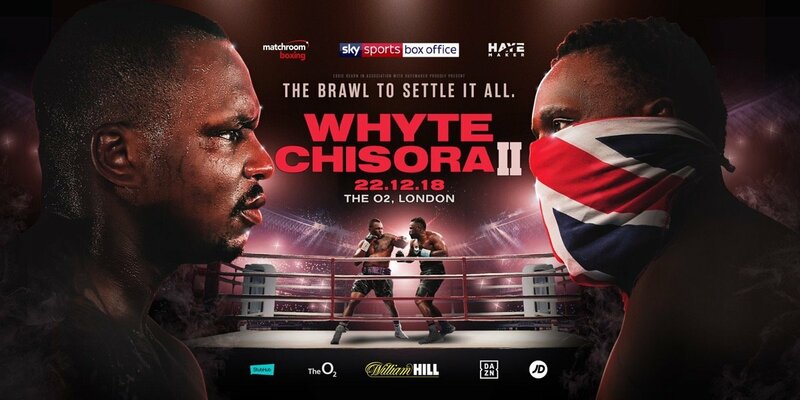 Both men know they have to win – Whyte, the younger man, could come again, but a loss would be incredibly tough for him to take, while a ninth career loss would likely finish Chisora at anything like top level – and there will be nothing left out in terms of sheer effort to get the win. David Haye, who came onboard as Chisora’s unlikely manager earlier this year in a move no-one saw coming, told Sky Sports how his man is already in “beast mode,” that he is not fit to be placed in front of any cameras right now; that he wants to fight and nothing else. But Whyte, in speaking with BBC Sport, came across as a beast himself – a beast who wants the taste of blood. But this could be the last massive, all guns blazing effort Chisora is able to muster. After such a long and tough career, “Del Boy” may or may not have one last great fight in him, and it may or may not come out on Saturday at Whyte’s expense. But as gruelling and as long as the intense warfare promises to be at The O2 (Haye says he is certain we will see a KO this time, while Anthony Joshua says we will get another tough 12-rounder seeing how both men have “an old-school chin”), it’s possible neither man will ever be quite the same again afterwards. It will be brutal and it will not be for the squeamish. Above all, though, let’s hope both men come out without picking up too much damage. We’ve seen a world champion boxer put in a coma after a hard, hard fight already this year. We must never forget how much these warriors put on the line in the name of entertainment.